I'm just amazed at this. 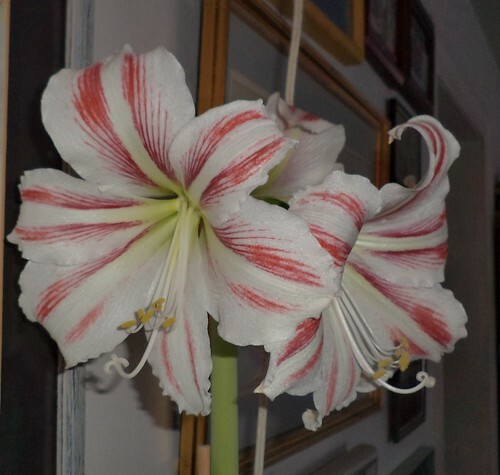 This is the amaryllis Bill sent me for Christmas. Remember the gorgeous blooms? 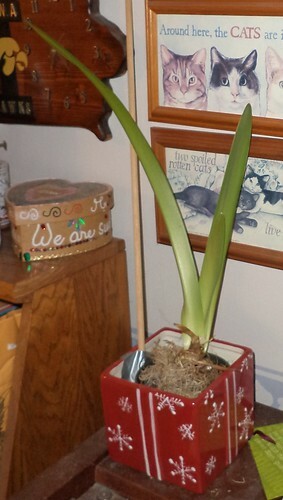 I let the stalk and leaves die back, then pulled them off and gave the bulb a good soaking, taking care not to get water in the top where the stalk sprouts from. It has rewarded me with three more green leaves. Now, it needs a dormancy period in order to produce flowers again. That will probably mean putting it in the basement for a time. Right now, however, I'm enjoying the splash of green in the living room.